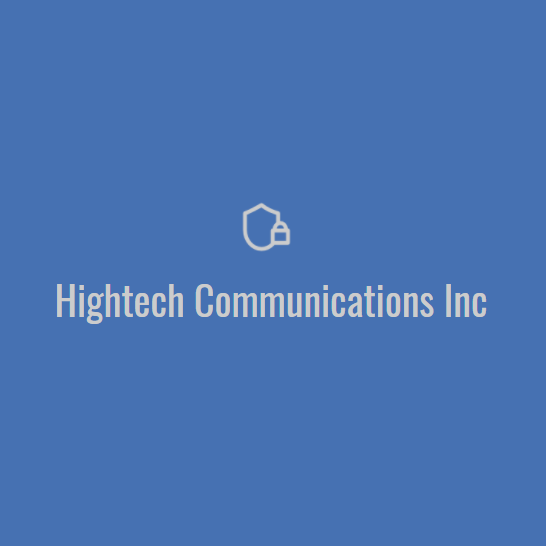 Welcome to HighTech Communications, Inc., located in Rocky Mount , North Carolina. We are a family owned and operated burglar alarm and monitoring service with over 30 years of experience. Our company specializes in all areas of security for residential, commercial, industrial, institutional and agricultural applications. Here are the different services we offer:* Burglar * Fire & Smoke * Medical Response Systems * Hold-Up * Closed Circuit TV * Intercom Systems * 24 Hour Monitoring * 24 Hours/7 Day Emergency Service * Insurance Approved Systems* Environmental Protection * Free Security Survey * NC Alarm License #BPN002189P9 * NC Business License #765-CSA * Insured & Bonded * UL Listed Equipment * NC Electrical License #16765-SP-LVBeing locally owned and operated, serves eastern North Carolina with a level of service and commitment, not found among our larger multi-state national competitors. We go above and beyond to provide the highest quality service and our workmanship is unmatched. We can meet all your security needs. Call today!